Navigating Georgia DMV driver services is simple and efficient with the help of DMV.com. We provide you with a database of information on how to get in and out of the DMV in Georgia office with all of the driving documentation you require. Our comprehensive guide to the Georgia Department of Motor Vehicles is full of detailed information on driver’s licenses, car registration, auto insurance and more. 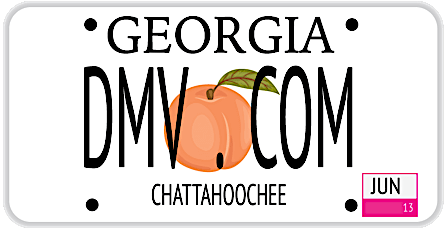 For those who require further assistance on Georgia DMV-related matters, DMV.com also features guides on how to do everything from check your driving record to respond to a driving under the influence citation from the GA DMV. Find the topics that most apply to you below to get more in-depth knowledge on GA DDS offerings courtesy of DMV.com. A GA drivers license is required for prospective drivers in Georgia. Learn about applying for drivers license credentials at the GA DDS. Request your Georgia DMV driving history from your home computer. Ordering driving records online in GA is quick and convenient. The Georgia DOR requires auto insurance for all registered vehicles. Use our GA online insurance center to obtain affordable car insurance. Passing a DDS approved driver improvement course removes points from your driving record. Discover the benefits of online traffic school. Take a Georgia DDS practice test before registering for the drivers license exam. Passing a practice exam can help you to get a license. Vehicle registration in GA is regulated by the DOR. Learn how to get car registration papers, how to renew car registration and more. GA drivers ed is required for some drivers license applicants. Take DDS approved online drivers ed for the most convenient experience. It is important to obtain a bill of sale in Georgia when you buy or sell a vehicle. Learn how to obtain a car bill of sale from the GA DMV. Late traffic tickets payment in GA can result in DDS fines and other consequences. Learn how to pay a ticket online for maximum convenience. Find DUI information quickly and conveniently. Learn about Georgia DUI laws and DUI consequences administered by the GA DDS. Buying a car online in GA simplifies DMV registration. Whether you plan to buy a used car or new car, consult our online resources first. Some Georgia DMV services require a trip to a DMV office. Find DMV contact info for DMV locations throughout Georgia. Cut out DDS’s bureaucracy. DMV.com has easy guides for drivers license, vehicle registration, license plate, emissions and other motor vehicle issues online. Tired of dealing with government bureaucracy? We have a solution for you that will save you a precious amount of time. Welcome to DMV.com – our guide to the Georgia Department of Driver Services. We offer you the most up-to-date facts, all in an easy-to-understand format. Our vast array of carefully written articles will provide you with details on getting driver’s licenses, registration plates, what forms to fill, info on auto insurance – all available online. This is a user-friendly site. All you need to do to get the desired info, is to use the “search” feature or the navigation sections. If it’s a boat or motorcycle you’re owning, don’t worry! The Georgia DMV has a whole set of articles, providing the necessary details, for all types of vehicles. Importantly, we welcome and encourage all of our readers to give their contribution to the site as well. Any comments, edits, or article submissions can help us become better and offer the most up-to-date information on the Georgia DDS. As a privately owned website we have nothing to do with any government agency. Our sole purpose is helping readers deal with their driving and licensing issues, easily and in no-time.